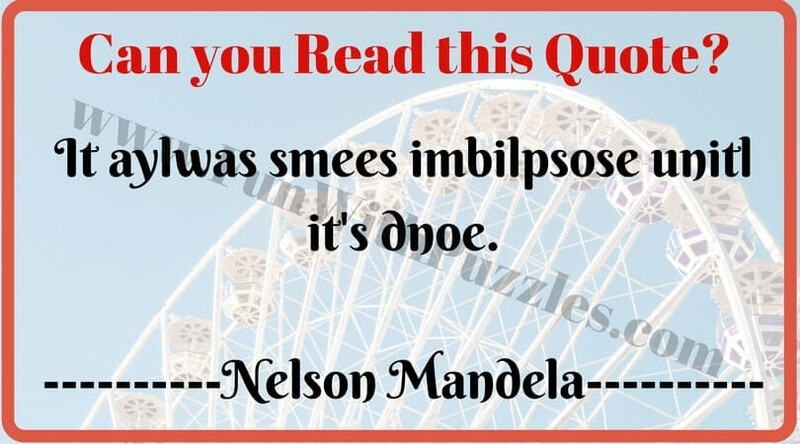 Fun With Puzzles Brain Teasers Can you Read this Picture Puzzles Puzzles for Teens Can you read this Encrypted Text? 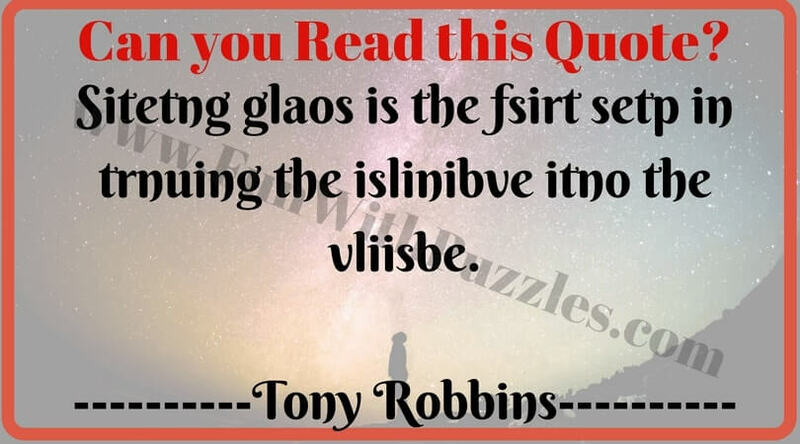 Research has shown that our mind can read a text if we change the position of the letters in a word and keep the first and last letter intact. 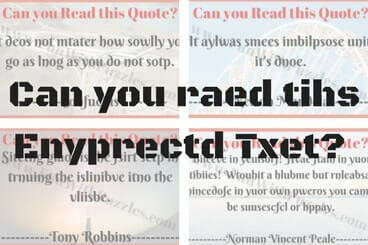 We have earlier published reading challenge to read encrypted quotes by famous people. In these reading brain teasers letters of the word changed its position and still our mind is able to read it flawlessly. There are other types of reading challenges too. e.g. reading the backward challenge in which one has to read the text in backward direction. Also there is blurred reading challenge, where one has to read the text which has been blurred. There is also upside down reading challenge where the text is turned upside-down. However I found upside-down and backward reading challenge the most toughest one in which text is not only turned upside-down but also written backward. Try all the challenges and hopefully you will enjoy all these reading challenges. In today's reading challenge one has to read the quotes by famous people. 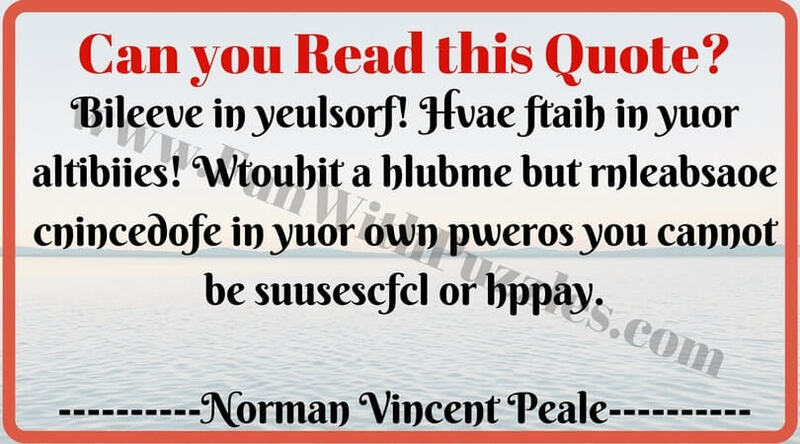 These quotes are encrypted. 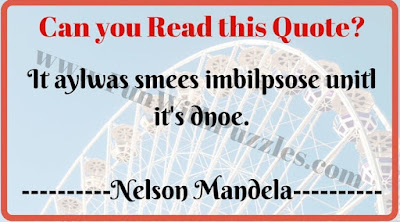 However our mind will be able to read these quotes effortlessly. 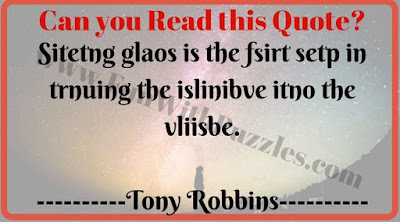 Try it and write what are you able to read in the comment section of this post. 1. 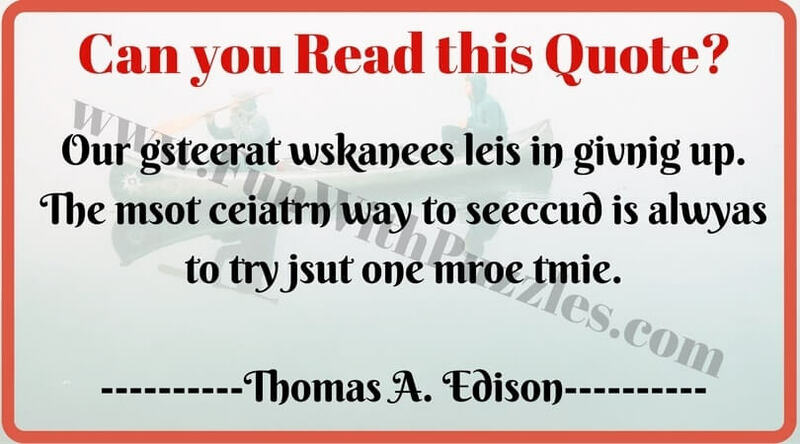 Can you read this encrypted quote? 2. 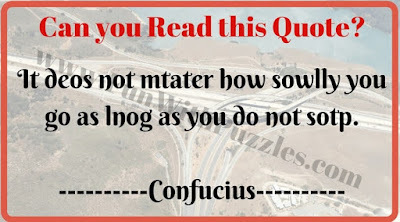 If you can read this you have powerful mind! 3. Can you pass this reading challenge? 4. 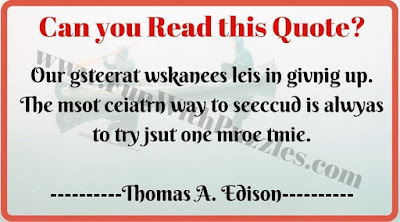 Can you read it in first attempt? 5. 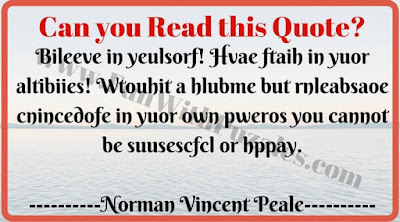 Can your mind read this? 1. Fun Brain Test to prove that your brain is lazy? : Do you believe that your mind is strong and very active. 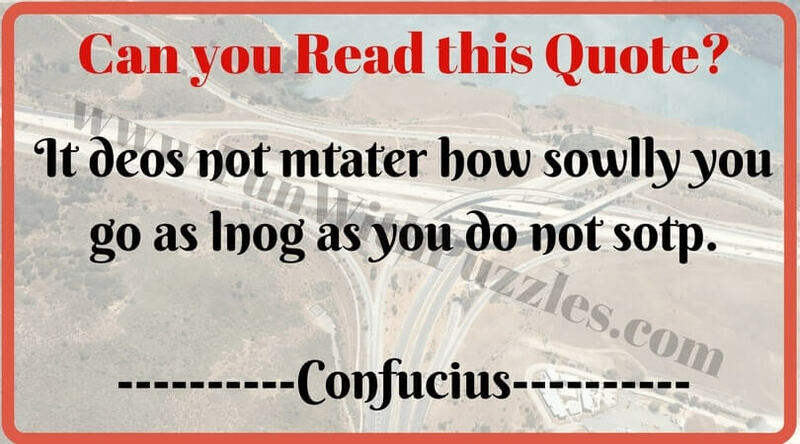 If yes, then give this fun brain test which is designed to prove that your mind is lazy. 2. Can You Read Upside Down? : After successfully reading the scrambled and encrypted texts, now its time to read upside down. Can you read upside down? 3. Picture puzzles to find the hidden letters: It contains very interesting picture brain teasers in which your challenge is read the hidden letters in the similar looking numbers or letters patterns. 4. How many squares puzzle with answer: It contains single picture puzzle in which your challenge is to count the number of squares in the given picture.